Hard work pays off. When owner Nuno Diogo and chef Rui Silvestre set their sights on earning Carvoeiro’s first Michelin star there were many who thought they would never do it. But they were soon proved wrong. Bon Bon makes our list for finally putting Lagoa (near Carvoeiro) on the gourmet map. Chef patron Piet Warink has such a passion for ingredients that he goes to great lengths to source the best he possibly can. This is a restaurant serving real food in the bistro style, with panache but without pretention. A favourite restaurant of serious foodies who do not have the patience for haute cuisine and multi-course tasting menus but who appreciate simplicity, quality and careful cooking. The former Ermitage gave way to a special steakhouse, with one of the best meats in the world – the Uruguayan steak – and a laid-back but elegant atmosphere that fits the local clientele like a glove. Gourmet Natural is a unique space, with a terrace that’s just perfect for summer evenings. But here it’s the food that shines: the meat cooked on the parrillas (the South American grills) is tender and delicious, as are the vegetables and salads that come on the side. 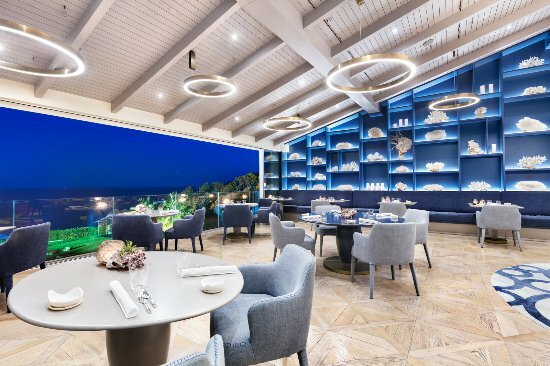 The signature restaurant of Italy-based German 3-star Michelin chef Heinz Beck in the Conrad Algarve Hotel brings international-style cosmopolitan dining to the Algarve. There are tasting menus inspired by the great chef and staples on the menu, including his legendary fagottelli carbonara, possibly the greatest pasta dish in the world. The Vila Vita Parc resort is a gourmet destination in its own right. In fact other restaurants there could well have been included in our top 10, but Ocean stands out as one of the best restaurants in Portugal and one of only five in the country to have two Michelin stars. Austrian chef Hans Neuner and his team create immaculate dishes using many of the best local ingredients from the Algarve coast. The Algarve has many great fish restaurants and no shortage of good restaurants on the beach, but when it comes to our top choice there is no need to take our word for it, just ask the Algarve’s top chefs from Michelin starred restaurants where they prefer to go for grilled fish straight from the ocean and specialiy. Probably the most adventurous chef in the Algarve is Leonel Pereira, chef and patron at São Gabriel. This restaurant is an old Algarve gourmet institution that had lost its shine until Pereira took over a few years ago, restoring the Michelin star that the restaurant had previously lost. Regular guests learn to expect the unexpected with his culinary creations based on local Algarve flavours such as hand made cuttlefish black sausage. 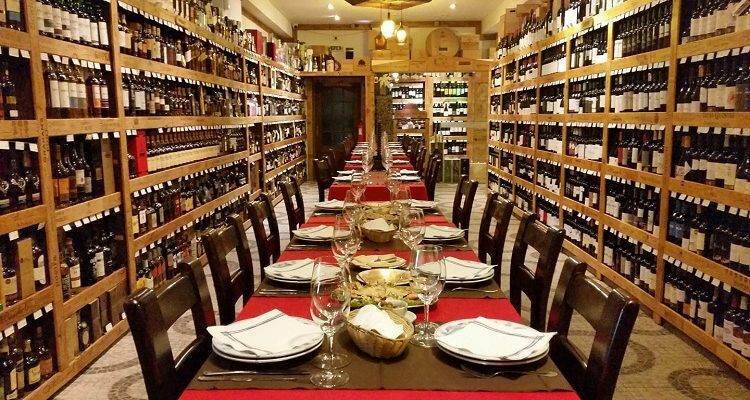 Wine lovers love Veneza, and lovers of real Portuguese food love Veneza. This cosy restaurant is a little out the way, located just outside Paderne but well worth the drive, or better a taxi ride given the fabulous selection of wine available at very attractive prices. The food is honest and hearty, relying on top quality Portuguese ingredients and traditional recipes.